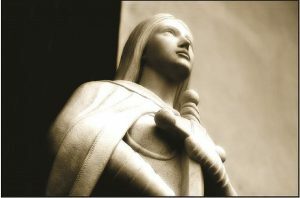 Welcome to Saint Joan of Arc Catholic High School. The staff and I extend a very warm welcome to students and parents returning this year. A special welcome is extended to new families who are joining the Saint Joan of Arc Catholic High school community for the first time. We are sure you will enjoy being part of such a vibrant learning community and hope you will take advantage of the wide variety of spiritual, academic, cultural and co-curricular opportunities we have to offer. 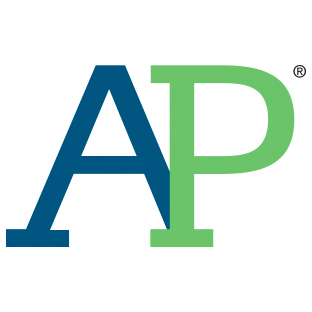 Our school has a solid reputation for academic excellence, offering a comprehensive list of courses from which to choose. Our dedicated and compassionate staff are committed to delivering a diversified curriculum to meet the needs of all our learners. We are guided by the teachings of the gospels and strive to promote Catholic Graduate Expectations in all of our students. The Saint Joan of Arc Catholic Community is blessed to have Ms.Torrone head our Chaplaincy team and lead us on our spiritual journey. In addition, Saint Joan of Arch Catholic High School is recognized for high levels of co-curricular achievement and cultural successes. Our students benefit from the new artificial turf field adjacent to our school. 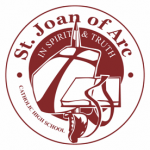 Saint Joan of Arc Catholic High School fields over 30 sports teams, and a multitude of co-curricular communities such as the ABC: Anti-Bullying Committee, Dance Club, and the ESP Committee: Empowering Student Partnership, to mention but a few. Our ACE: Awareness of Cultural Equity Committee is active in building community and each year organizes a very successful “Taste of Joan” event to celebrate our diverse backgrounds and multicultural roots. Our Student Council is a team of committed students who lead many aspects of school life. Their continued efforts raise school spirit and promote student responsibility. Our Catholic School Council is strong and active at Saint Joan of Arc Catholic High School. Our Council meets every third Wednesday of the month at 7:00 p.m. in the Library. We encourage new and returning parents to become active members. Our school is proud to be regarded as a gathering place for our community. We are proud of our school, proud of our achievements and proud of what we have to offer. The staff and I look forward to another challenging, exciting and fun filled year. We hope to get to know each and every one of you as the year progresses. *Lunch A and C run back-to-back on the Liturgy / Assembly Schedule.